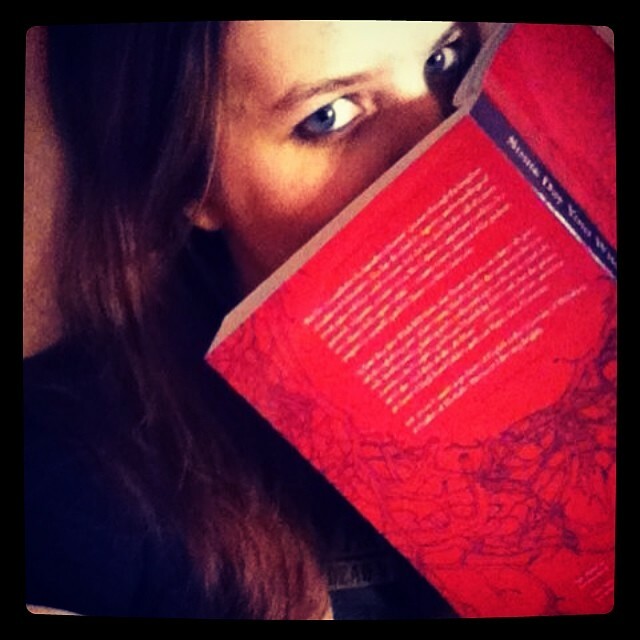 ← Long Time, No Posts! 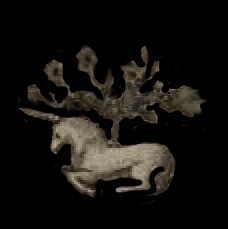 * The biggest thing to mention is that Sara Cleto and I had our first long course for The Carterhaugh School of Folklore and the Fantastic, “The Fairy Tale,” and it went so, so well. So many people have said just phenomenally wonderful things, and I am so blown away by our students… I honestly can’t believe some of the amazing things that have come out of the course. For example, the incredibly talented Jenny Davies-Reazor crafted these gorgeous block prints for several of the fairy tales we discussed – you can see the pints and read about her process in this fantastic blog post she wrote. We’ll be adding more projects to our Final Project Showcase on the website soon, but do check out what’s up already… it really is incredible. We are SO excited to keep going with this project and hopefully expand it as well – we already have summer and fall courses coming up, so please do sign up for our newsletter and keep up with what’s going on over there! 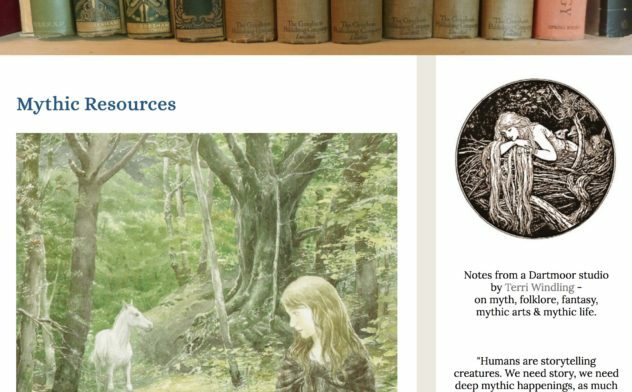 I’m also thrilled to say that the amazing, endlessly inspiring Terri Windling has linked to both Carterhaugh AND Through the Twisted Woods on her “Mythic Resources” page for her redesigned website. The honor of her even knowing these things exist, let alone liking them enough to link to them, fills my heart with unspeakable joy. * In academic news, work on the dissertation continues and I’ve attended a few conferences since I last posted: AFS in Miami, INCS in Philadelphia (where Sara and I cavorted with Shveta Thakrar! ), and ICFA in Orlando (which my friend and colleague Jeana Jorgensen has a great write up about.) All were wonderful and helpful and inspiring as usual, but ICFA was particularly fantastic (ha) this year, as, due to the hard work of the Fairy Tales and Folk Narratives group (particularly Christy Williams), we now officially have a Fairy Tales and Folk Narratives division. As Jeana discusses in her post, this is huge break for our field and I am so honored to have been a small part of it as a board member for the group that worked toward the move. It’s an exciting time to be a fairy-tale scholar! * In creative writing news, my story “C is for Catechism” was published in Rhonda Parrish’s D is for Dinosaur anthology, which seems to be doing quite well! A few reviews have called out my story in particular for praise, which of course makes me feel like dancing :). 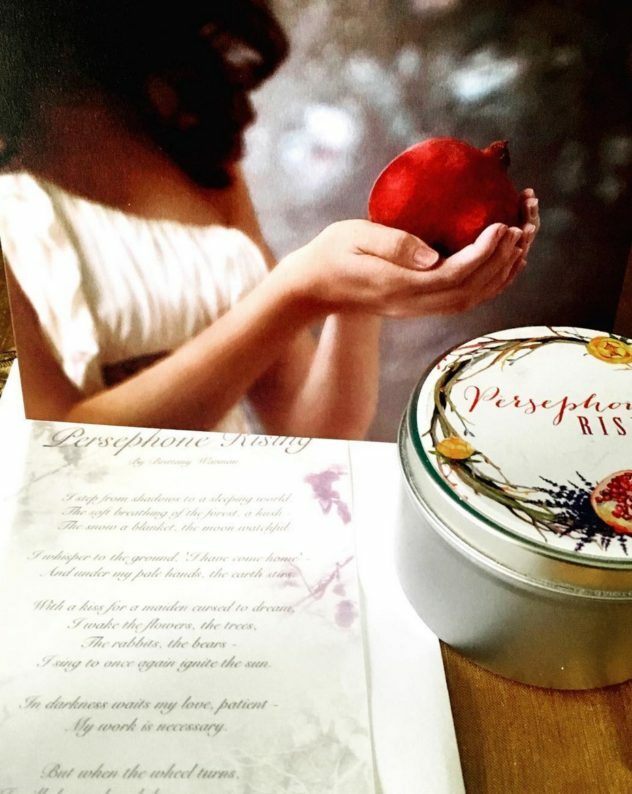 I also contributed a poem to Sihaya and Company’s Spring Box on the theme of “Persephone Rising” that has also been received really well – I designed the background for the poem and printed it on vellum paper, these sheets were then put in art cards by Vasilion Photography. 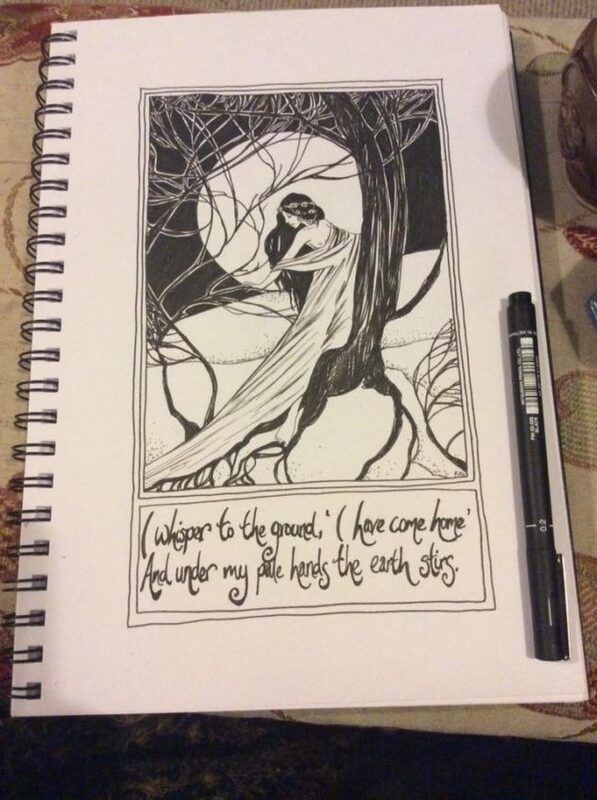 She has also been kind enough to allow me to purchase the original piece… I can’t wait to hang it up when it arrives :). Shveta has a new essay up for Uncanny Magazine on her concept of “#beautifulresistance” that I absolutely love. It is so perfect and important and I’m so excited to see how it’s spreading. I made stickers (which I could perhaps post somewhere if there’s interest? ), Sara and I are working on a poem, Terri Windling is on board, and Jeana wrote a great response. Art matters. And we are many. I love this post on collecting a special piece of jewelry in every different country you visit. I do this too and I have found it to be such a unique, wonderful way to reconnect with a place. FAIIINT, by the way, is one of my very favorite fashion blogs :). Two fantastic interviews on Haute Macabre, the first with Pam Grossman and the second with Erin Morgenstern, both huge inspirations to me. 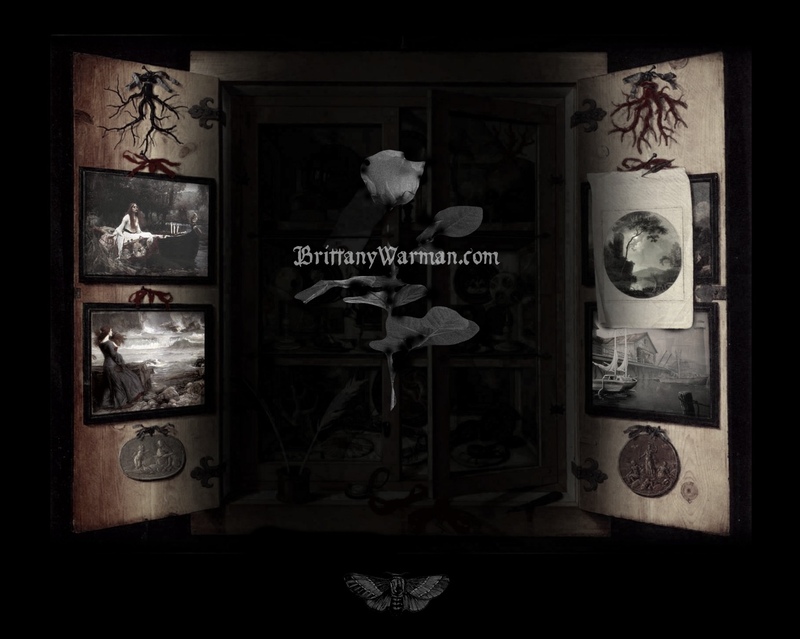 I am loving Haute Macabre’s new interviews overall actually, it’s been one of my favorite blogs for a long while now, but they’ve really stepped up their game and I highly recommend checking them out if you’re fond of all things dark, witchy, and magical. Thieves *rappelled* into a warehouse to steal *rare books,* possibly at the bidding of a *mysterious collector* known only as “The Astronomer.” I still can’t believe how amazing this is. I mean, terrible… but also amazing. And last but not least, I too would very much like to travel back in time and see this Victorian cat ballet! More soon! Thanks for reading! This entry was posted in Academia, Fashion, Inspiration, News, Projects, Publications. Bookmark the permalink. Ooh – what a wonderful update! I would but #beautifulresistance stickers in a heart beat. And thank you for the shout out regarding my prints! It was a stellar course that encouraged me to creative for the joy of creating, and to challenge myself. The road less traveled by leads to wonders! <3! I'll talk to Shveta about possibly making the stickers available! And I can't express how much it means to me that you loved the course... your prints are so beautiful! !